Being among the leading tungsten bucking bar suppliers in China, we provide the best quality tungsten bucking bars of different styles and specifications matched to customer orders. Place you order today! Tungsten bucking bar is used in the aviation industry; they are aircraft tools. We manufacture different types of tungsten bucking bars with long-term accumulated experience, smooth surface and chamfer, and with no blur. We produce 90WNiFe tungsten bucking bar, 93WNiFe tungsten bucking bar, 95WNiFe tungsten bucking bar and 97WNiFe tungsten bucking bar. Tungsten bucking bar is used to form bucktails on rivets and come in many different shapes and sizes. They are normally made from an alloy steel similar to tool steel. The particular shape to be used depends upon the location and accessibility of the rivet to be driven. The size and weight of the tungsten bucking bar depend on the size and alloy of the rivet to be driven. Under certain circumstances, and for specific rivet installations, specially designed bucking bars are manufactured locally. Tungsten bucking bars are normally made from tungsten heavy alloy. 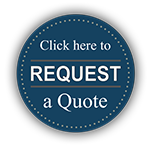 All edges are deburred and working surfaces are polished for troubles-free use. This helps to prevent marring of formed bucktails. Please notice that never hold a bucking bar in a vise unless the vise jaws are equipped with protective covers to prevent marring of the bucking bar. Enjoy easier, better riveting with less fatigue. 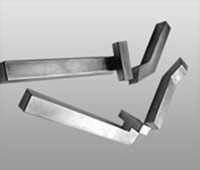 Tungsten heavy alloy bucking bars offer the maximum density available. The small size and high density makes these bars versatile, able to fit in small areas. All bars have a full radius on all edges for safety and ease of handling. Tungsten bucking bars result in a bucking bar of the same weight but half the size. Bucking bars are used in rivet setting to upset the shank of the rivet. Tungsten bucking bars reduce the recoil when reflecting the impact back to the rivet shaft.